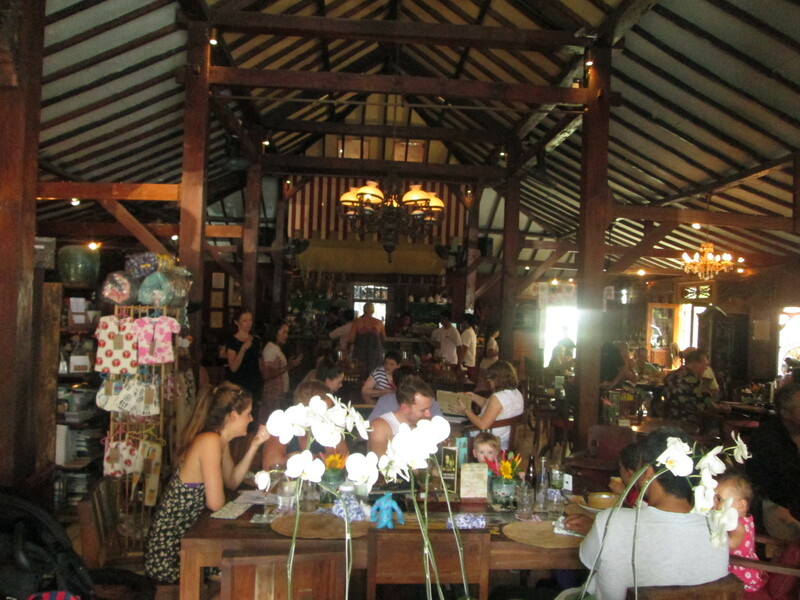 I don’t know if Biku Tea lounge on Bali is busy every day, but they were turning people away the day we pitched up hoping to go for their mystical high tea. 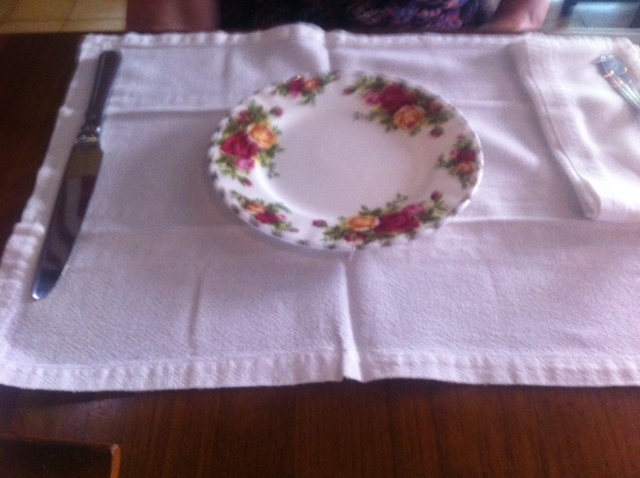 We got lucky with a table for two, though sadly the tarot card reader was fully booked that day, so we didn’t get a chance to hear her predictions on our future beyond The Road. 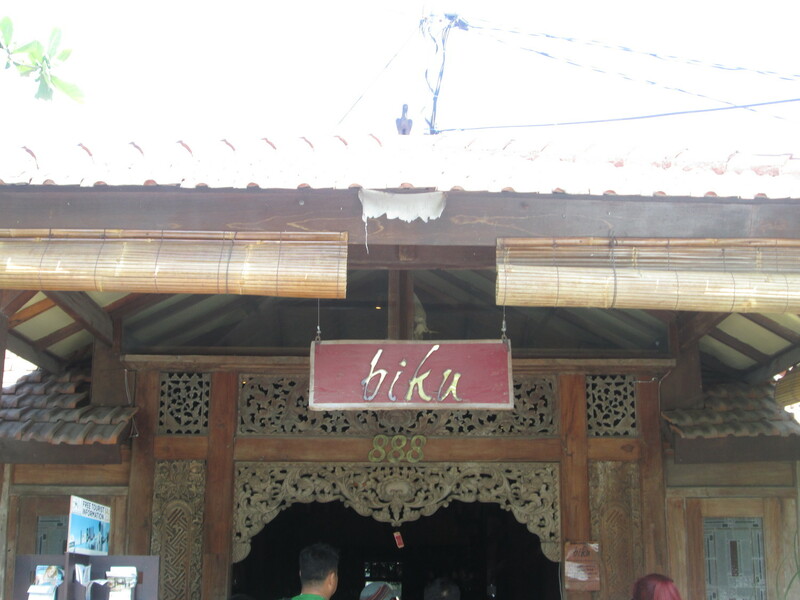 We took a taxi out to Biku from central Denpasar, though the district it’s in – Seminyak – is full of western tourists and the beach is not too far away, so Biku may well be within walking distance for many holiday makers on Bali. We’d come here on recommendation from the tea-loving community in Jakarta, because Biku is another of those rare tea shops in Indonesia that serves up tea grown and produced locally. There’s certainly a great range of teas on the menu, with black, green and oolong teas grown on Java, and more Indonesian tea in their basic breakfast blend (even the Assam is likely to have been grown in Indonesia, after the Assam tea plant was introduced to the islands in the 19th century). They also have some imported teas, all carefully managed by Tjok Gde Kerthyasa, a tea master himself who’s based in Bali, but is connected to the wonderful Sydney-based Tea Craft (which I must try to visit soon). So the tea menu at Biku was exciting enough. The afternoon tea (or High Tea) menu even more so. 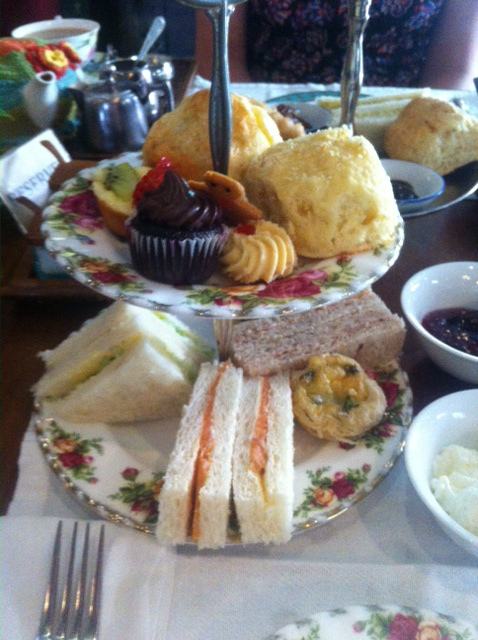 We have both loved it when tea houses in South East Asia offer both a ‘traditional’ western afternoon tea (with scones, jam and cream etc) and an eastern or local version. 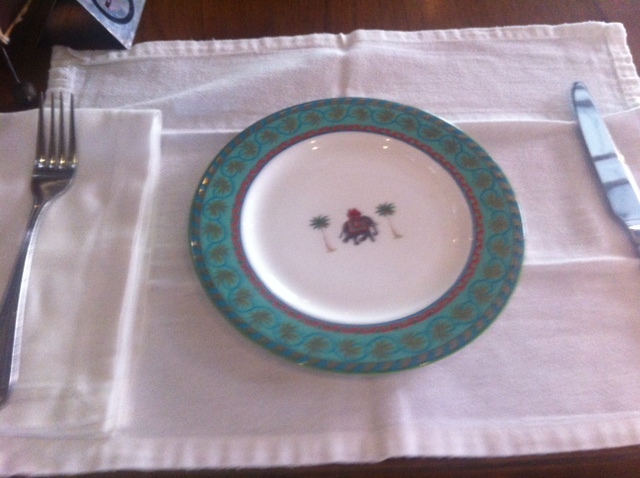 So it is with Biku, and as an added bonus, if you go for the Asian High Tea, you get it served on wonderful cups and dishes with elephant motifs and simple, clear decoration (whereas the tableware for the western afternoon tea is very colonial and floral). 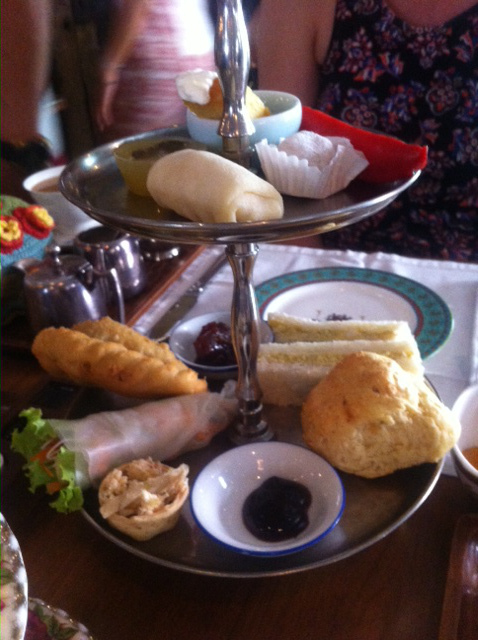 The savoury side of the Asian High Tea is interesting, with samosas, spring rolls and curried egg sandwiches. But the sweet part was even more exotic, with date scones served with mango jam, a sticky rice sweet filled with peanut paste and a wonderful fruit called salak. 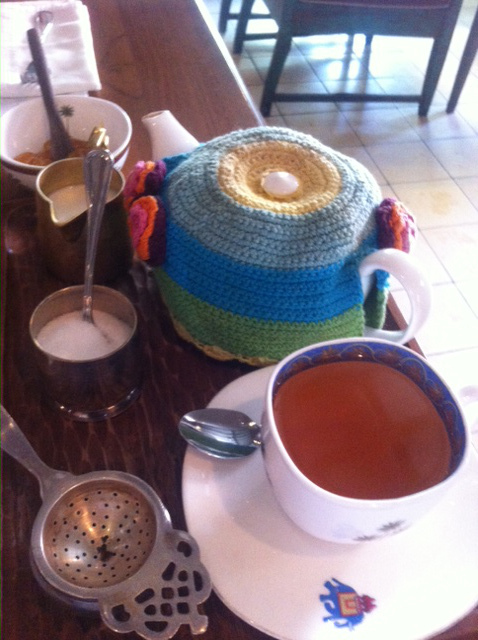 So the Asian Tea is our top tip if you go to Biku, especially if you’re a visitor. This was a great way to end our journey from Yorkshire with a slap-up afternoon tea, and lots of local flavour. It’s the 42nd tea room we will be reviewing across the 25 countries of our journey (there were 66 coffee shops, suggesting coffee has been easier to find, though there’s a blog entry in that discussion, since most tea places in China were not really tea rooms in the western sense of the word so can’t be reviewed as an afternoon tea experience). Amazingly, with all the tea, coffee and cake consumed over 17 weeks of this journey, I lost 5 kilos, but that’s more to do with the efforts of carrying heavy luggage, the miles we walked finding the coffee shops and tea rooms, and the heat we encountered in most of the countries. So, thanks to Biku, you rounded off this epic journey beautifully, and just in time for us to get to the airport for our night flight to Australia.